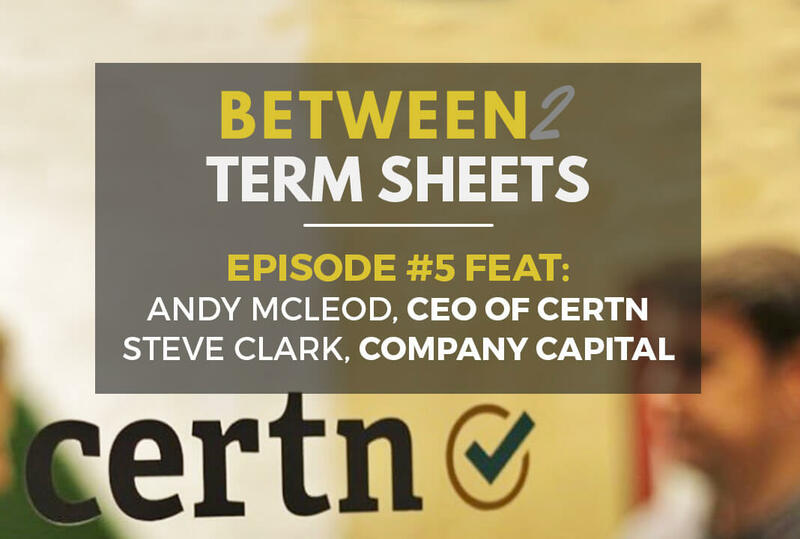 Episode 5 of Alacrity Canada’s “Between 2 Term Sheets” podcast features an engaging conversation between a founder (Andy McLeod, C3O of Certn), a lender (Steve Clark, president of Company Capital), and host Owen Matthews. Certn is a platform designed to evaluate people and go beyond the traditional credit check. Certn uses behavioural and data science to accurately predict what an individual will do (including default, damage to a property, or even a poor-performing employee), regardless of their lack of credit history. Company Capital is a 100% Canadian, privately held company based in Victoria BC with more than 20 years experience providing financial services to the small business community in Canada. Company Capital takes a completely new approach to traditional bank lending, providing online loans to small businesses in Canada where approval is fast, simple, and is based on the sales history of the business rather than the personal credit history of the business owner. Owen joined Wesley Clover as a General Partner in 2004 and has invested in Echosec Systems, Encepta Corp., HYAS, Pretio Interactive, Referral SaaSquatch, Tutela Technologies, and Certn, among others. Prior to joining Wesley Clover, Owen founded NewHeights Software, a pioneer in enterprise unified communication software which was eventually acquired by CounterPath Corporation. With his love of tech and creating opportunities for young entrepreneurs, Owen co-founded the Alacrity Foundation. Alacrity provides an intense incubation environment to prepare graduates for entrepreneurship in the tech industry.